Situated above Mooragh Park, and just a few hundred metres from the beach and promenade, Royal Park will be made up four and five bed detached properties featuring brickwork and coastal-themed pastel cladding. 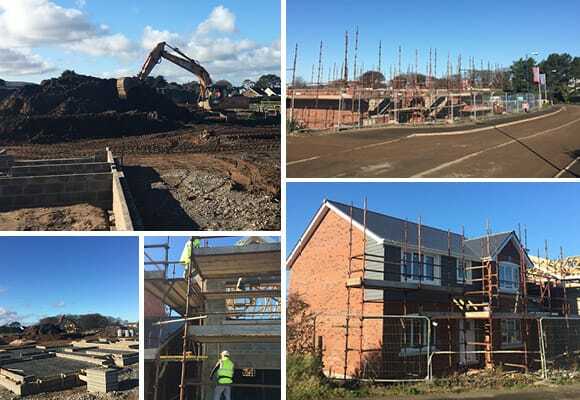 The first home is nearing completion and two show homes are due to be unveiled in the spring. Work has also begun on infrastructure for the second phase of homes. The new site is an extension of Hartford’s existing Royal Park development. The first phase of 46 houses was completed in 2010. Hartford Homes’ sales office on the site is open every Saturday and Sunday, 1-4pm. See more here.